The atmosphere we create in your home will evoke an honest reflection of who you are and your approach to life. We will bring spirit and heart to your surroundings. Our website is dedicated to giving you an insight into experiencing truly remarkable service when it comes to creating the interior for your home. We are blessed to be doing what we enjoy most. Creating elements for a space that is as unique and intriguing as you. It's what you've envisioned. 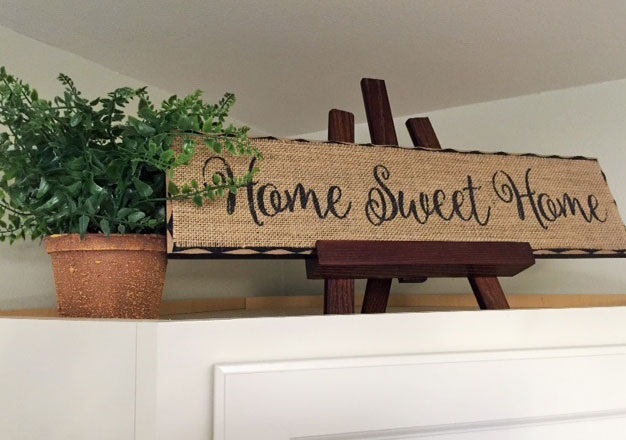 Whether you are living in an upscale, high-end luxury home or just looking to "spruce up" a small starter apartment, we focus on exactly what you want to accomplish. You may be young homeowners, middle stage with kids and pets, or empty nesters. Our team of professionals apply their skills creating design elements to grow with, and compliment, your ever changing lifestyle. We are honored for the opportunity to work with you. Allowing yourself the freedom to put someone else at the helm. Freedom to ask for assistance in searching out the big plan and not worry about the little details. Then turn an inspiration into a truly captivating and creative experience. Is your own confidence and that which you have placed in us. Our business IS our livelihood as we are not hobbyists in our profession. Even the simplest change can claim the grandest results. It's not about how much help you need, but what remains from our efforts. Why it's the sincerest form of flattery! Our firm has been built on referrals and prides itself on the relationships we have made with those we have serviced and the quality projects we have designed. Is that everyone's home is a castle and deserves the same approach to creating and designing the elements needed for an interior or exterior space, regardless of the economic status of the client. Small projects or large requests receive the same level of professionalism and importance. Our clients are both an honor and a blessing. We'd like for you to be one of them. Interior Dimensions and Design absolutely nailed it! I told them what I wanted, told them what my budget was and they came back with a stunning design plan. I won't go anywhere else. I've worked with interior designers and decorators before and felt almost satisfied. With Gail, I was thrilled - the colors are gorgeous, the fabrics are comfortable and easy to clean - I feel great just being in my salon. I couldn't be happier! I highly recommend Gail. We have hired her twice for room decoration/ design for our 1st floor. At least a couple times a week my husband and I both remark that we can't believe this is the same house it was a year ago. We love ❤️ the results that she achieved for us. No matter what the budget, don't decorate a room or even pick out paint color without her. She is a ray of shining light that will make your project less stressful. She gets things done. 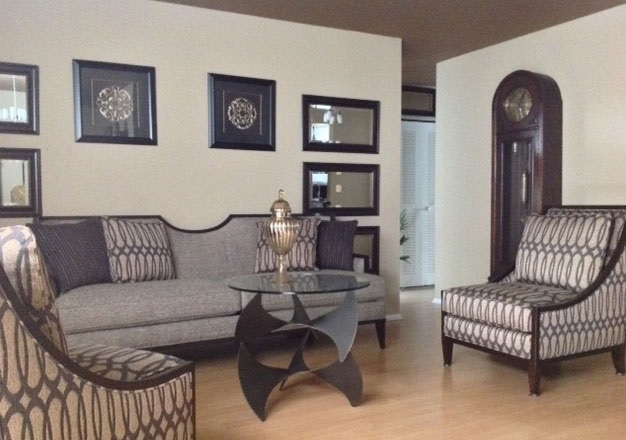 I highly recommend Gail Trower from Interior Dimensions and Design, LLC. I own a construction and remodeling business, and I often refer her to my clients. Those clients have always been thrilled with her knowledge and expertise, and come away from the experience of working with her completely satisfied. I have also used Gail on my own home remodeling projects. If you need ideas or are overwhelmed with decisions, she is able to simplify the process and direct you as much or as little as is needed. If you have your own ideas, she knows how to take those and maximize them with stunning results. She is very creative, artistic, and a great problem solver. Gail is a joy and pleasure to work with. I have known her for over 30 years, and her reputation is impeccable. Have installed wall coverings for this designer for years and have found her to be prompt, professional, and thorough. I have seen complete satisfaction from her clients and other contractors. Gail did a marvelous job walking us through our bathroom renovation. 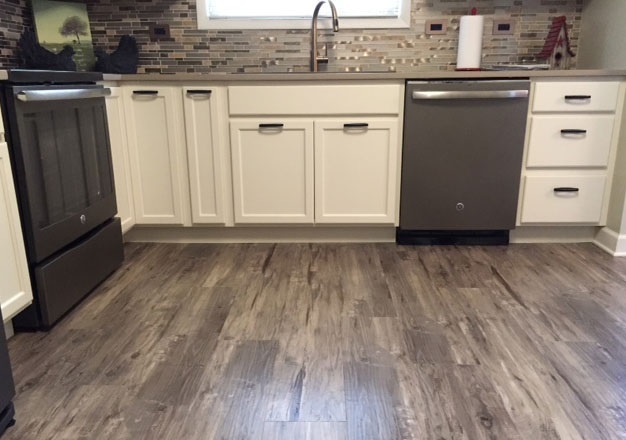 She drew up the plans, helped us choose the tile and designed the lay out, presented us with choice of vanities and light fixtures and plumbing fixtures all in the convenience of our home. the contractor she recommended was wonderful. the workmen cleaned up after themselves every day and were very respectful of our pets. Gail even helped with the finishing touches - matching towels and flowers. she helped me hang pictures! the bathroom is a beautiful room now and we could not have done it without her. we are hoping to tackle another bathroom and will certainly hire her to help us out. This website and all its content, including but not limited to its text, photographs, including those of product, graphics, logos, button icons, images, audio clips, and software, is owned or under the jurisdiction of Interior Dimensions and Design, LLC and may be protected by United States and international patent, trademark, and copyright laws as well as additional intellectual property laws. You are not authorized to reproduce, transmit, distribute, display, modify, create a derivative works from, sell or participate in selling, exploit in any way, in whole or in part, our website or any of its contents." © 2018, Interior Dimensions and Design, LLC. All Rights Reserved.